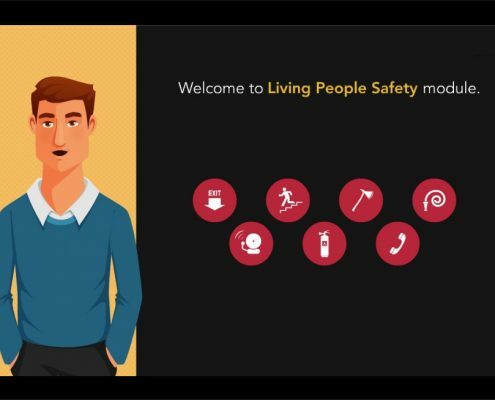 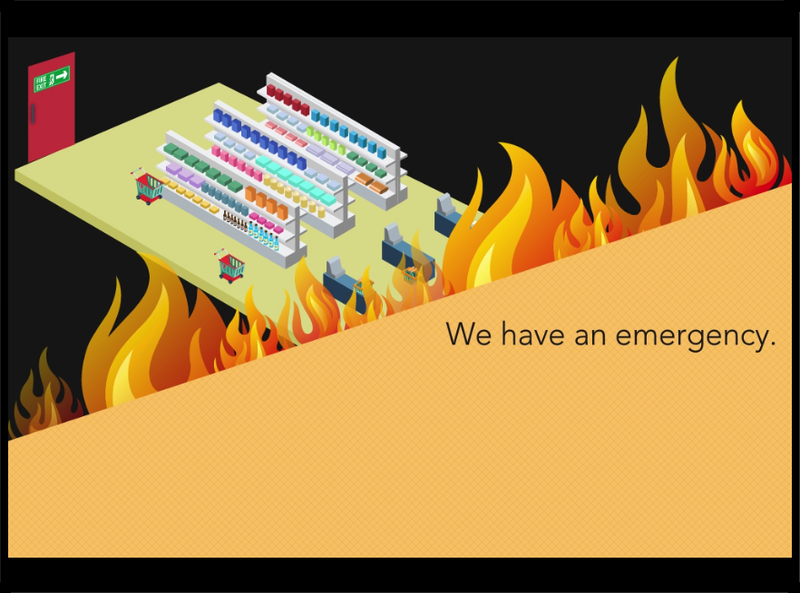 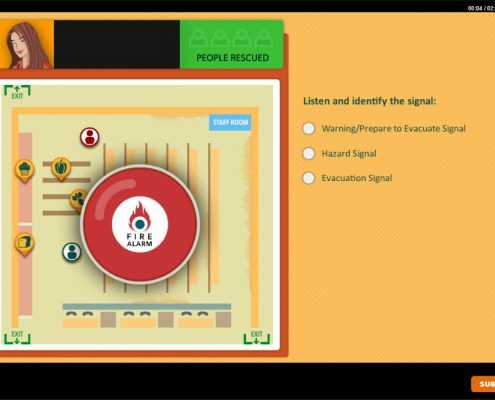 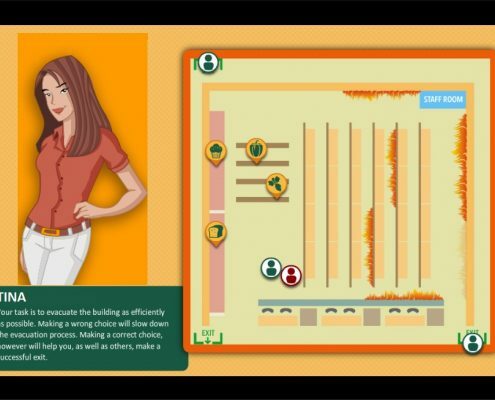 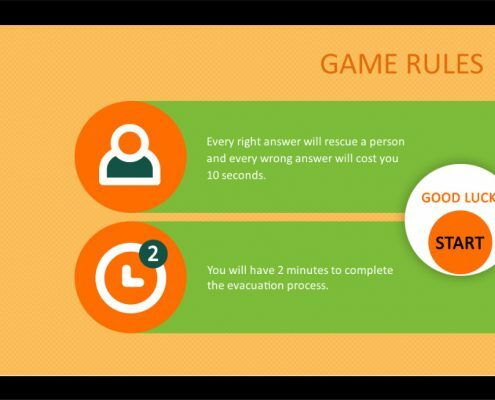 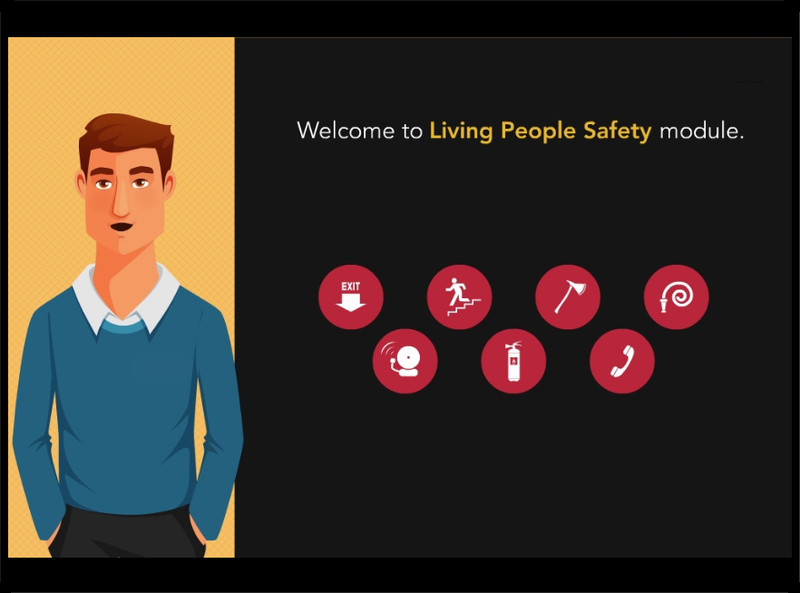 Living People Safety is an online safety procedure course developed for the staff members of a big Australian retail store in case of a fire breakout. 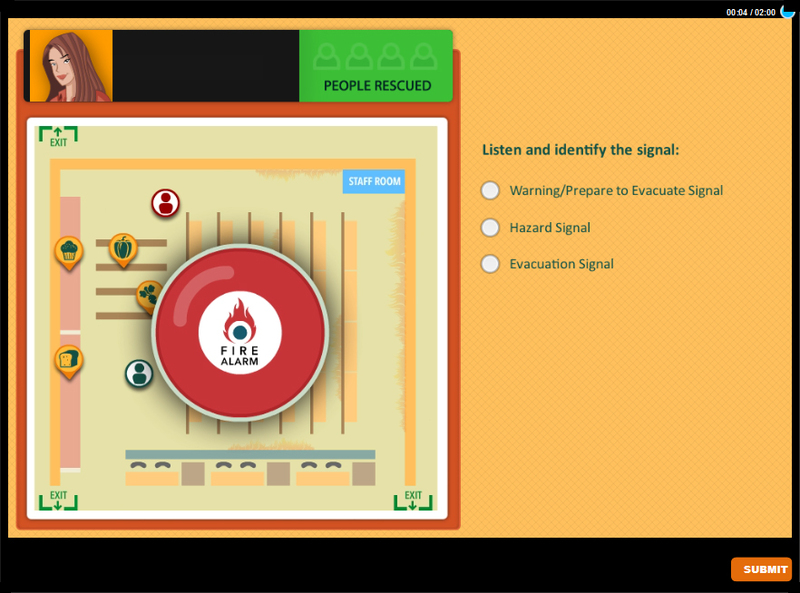 The module uses an audio driven ‘teach’ and ‘test’ structure in its design. 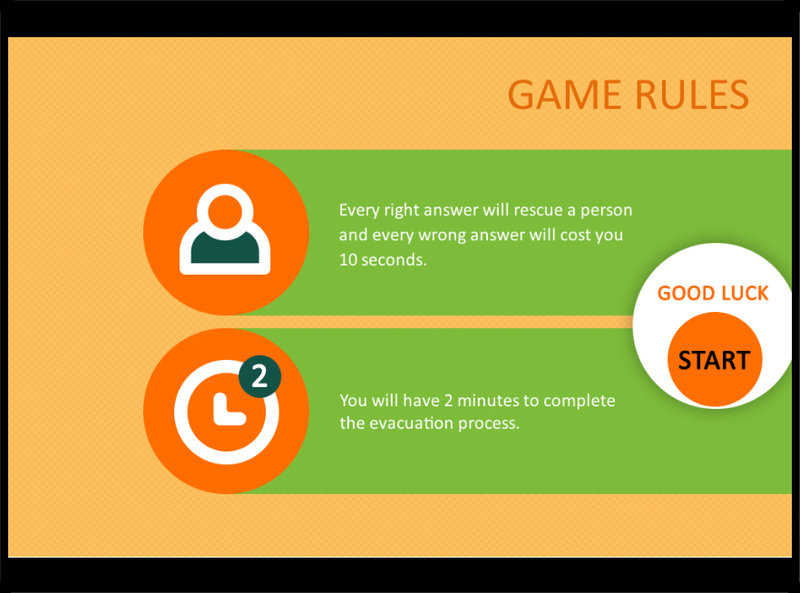 It provides a game environment to test the learners using various game elements like points/lives, a timer, time penalty, etc. 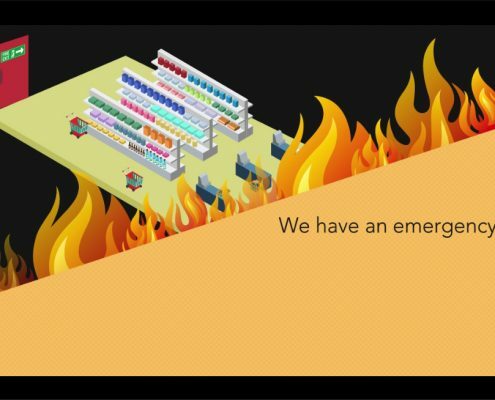 to increase the engagement.